Monastir has been a popular destination for tourists for many years in-fact it was surprising to many that I had not been before. Chances are that if you have arrived on a package holiday to Tunisia and even if you only spent your time in Hammamet or Sousse you would still have arrived in Monastir airport which is located in the tourist zone of Skanes (think long beach area to the north side of monastir). I chose to stay in the tourist zone of Skanes which is home to many new hotels with more on the way. Like other tourist zones in Tunisia, the one at Skanes is a little out of town which means you will need transport or stamina to make it into the town itself. However, this does have the benefit of giving you lots of space and an excellent beach. After checking in, I decided to make the most of the clear sky and head down the corniche and then town centre. The Corniche of Monastir is a nice place with clean walkways and a double sided road which gives a relaxed feeling of space. On the town side there is a selection of nice houses which is normal as the corniche is usually the most expensive part of any Tunisian seaside town. Once passed the corniche you immediately see two sites which tell you that your in the centre of town. One is the marina and, the second is the symbol of Monastir, the Ribat which used to be a barracks/fort for religious soldiers. Monastir has one of the older pleasure marinas and looking at it you can see that though a little tired in places it is still a nice relaxing place with a number of restaurants at the sides of the bobbing boats. The main square in the port where there are a number of shops and restaurants. The Marina is dotted with a number of apartments to rent and looked quite busy in terms of moorings. I was told by a friendly local that people in Monastir are quite pragmatic and will ‘do a deal’ which means that Monastir is quite a bit cheaper than Sousse, for example, for both selling and renting. Many of the apartments are part of the apart hotel which is located to the rear of the Marina behind the main walkway. Once you get to the far side of the Marina, you come to what looks like a spare are of scrubland which, I was told, used to be an island but is now attached. From the Google map below, you can see that the marina itself is the land bridge, and whilst not listed as an attraction this island is interesting as it is home to a number of interesting places not to mention nice views of Monastir itself. The island mentioned previously is called Sidi Ghedemsi after the prominent tomb which is in the middle and which still stands in good condition aside from the annoying presence of graffiti on the door. When you enter the door you enter a little courtyard where you can see the description of the saint on the wall. abandoned building which looks like it has fallen into the sea. Apparently the former (tennis court) is part of a hotel that was built on/near the island which is strange as it didn’t look too old. The other derelict building was described to me as a kind of customs checkpoint from which the French would monitor inbound shipping. The building looks like at one time it may have been impressive with lots of different types of stonework , some interesting views and holes in the walls. A red path through the building could this have been a ramp for a life boat? Another study element obviously for mooring something? One of the many interesting hiding-holes in this site. Some chaps chatting and repairing their fishing gear at the side of the island. From the island there are a number of nice views and after a good walk around, I decided to head for a coffee at the marina and relax. After leaving the marina, I took a walk along the promenade and up to the palace of the Bey which was a kind of summer house. 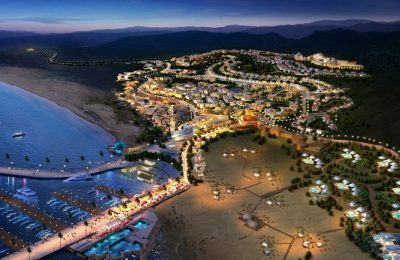 Along the promenade, there are cafes and hotels with a small thin beach lining the opposite side with the imposing Ribat looming over everything. There is even an interesting hotel which has rooms that site under the pavement itself and open onto the beach. however the beach itself is very thin and I would presume that the majority of sun worshipers will find themselves further up the coast. Heading further up the strip, I came to a very interesting, if a little sad, site of the old Bey’s summer retreat called the Casa. The house looks almost like a mosque from a distance and has a haunting look of better days passed. This lovely building was looking a bit derelict and one presumes that the land, that would have come with the house, looks to have been nibbled off for some housing. A shame, as if renovated, this would surely be another tourist attraction however at this time it was surely too dangerous for me to break down the door and have a look. After relaxing at the front I decided to head into town to see the medina and have a another coffee. 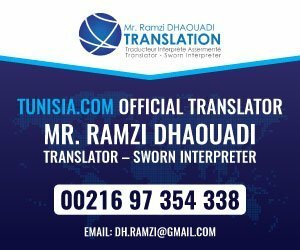 Monastir is a tidy town and especially so in the side nearest the beach where there is a definite lack of traffic compared to the way into the town. This side of the town is where you find the towns administration buildings and this interesting statue of the former president Bourguiba depicted as a child ready for study. What is nice to see is that between the medina and the beach some of the buildings have been kept low rise and indeed some of them have been coloured to blend in behind the medina’s brown walls. This is a planned look that is rare in many Tunisian towns especially touristic ones. Another surprise is the medina of Monastir which is behind the imposing and well looked after external walls and features some lovely gates. If you’re approaching from the beach as I did, the first gate you will see will be the Bab Briqcha(Southern Gate) which is an Ottman 17th century construction. Once inside you are taken a little by surprise as for better or worse the interior of the medina has mostly been renovated/remodeled. The nice new mosque is not actually the great mosque nor is it a replacement for the great mosque which is lovely condition and next to the ribat which shows just how much has been levelled. In the image above, I have placed the existing walls in black and orange where the missing parts may have been. This would have been logical as the Ribat would have defended the Medina. This modernization is also apparent inside the walls of the Medina with a variety of new buildings and shops along with modern roads. This is obviously much more practical and clean than before however lovers of pure authentic Medinas may feel that the new additions are undesirable. It’s impossible not to notice the largest addition which is the large Habib Bourguiba mosque, a handsome building in a prime position overlooking the Ribat and old mosque. The mosque was built in the 1960′s and features a minaret that is over 40m high. 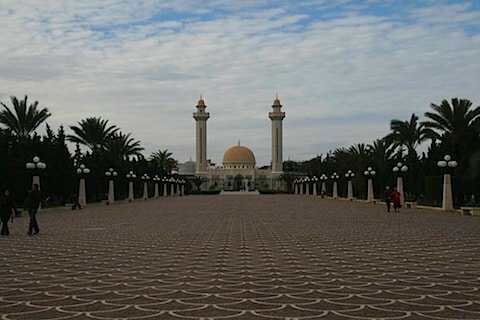 Apparently the architect, Taieb Bouzguenda, used the famous Hammouda Pacha Mosque as his inspiration and this mosque can hold a gathering of over one thousand when full. The further you get to the rear of the Medina the older the walls and doors become so it’s here that you should look out for the Bab el-Gharbi in the western wall which is original Hafsid made in the 15th century and then in the Northern side the Bab Tunis (as if you walk out and keep going you get to Tunis presumably,which was added in 1780. Also of note is the costume museum which is popular and located next to the tourist office near the Bourguiba mosque. Monastir is Bourguiba’s home town and that is a big deal for a town in Tunisia, especially when the country is a) not that old and b) has only had two Presidents since independence. This latter fact also adds to the respect that people in Tunisia and especially Monastir have for their first president. For more information about Habib Bourguiba visit our History section (under culture) but to keep it short he was placed under exile by the French and was the leading figure in the opposition and independence movement and set the stall for Tunisia becoming the peaceful country it is today. His importance is underlined by the scale and number of visitors to his tomb which, ironically when I visited, mostly consisted of French tourists. The Mausoleum itself cuts a swathe through the central graveyard and the dual minarets can bee seen from all over town. Once you get the start of the paved road up to the building, you cannot help to admire the pavement and the work that has gone into this structure. The first two buildings you come across are these two domed tombs of freedom fighters to the revolution which rest as if to guard the main road to the main building. Once passed this building, you begin the long walk up the to main tomb. When you get the main gate, you cannot help to be impressed by the tons of marble and leaf used in the contraction along with the handsome minarets and colonnades. Around the base of the minarets are some poetry (I will add translations here later). Once you are ready you head to the central building to the right hand side of the image below. Inside the building is dark and reverent as you would expect with the first place of note being the family tombs with are situated to the rear of the main building. You then come to a small collection of personal items from the former Presidents time in office which also includes a pen from Ronald Reagan. Once you have seen these items, you simply turn around to see the main tomb and how splendid it is. With two viewing floors (you have to go outside and then through a side door to go to the second floor), the chamber is opulent and showcases the sarcophagus which is wonderfully crafted. Looking up you can see the interior of the dome and the substantial chandelier. Once you are ready to leave, you simply head out of the front entrance and then back down the pavement toward the town centre. The tomb is open until 3pm and is free of charge. I had no problems taking my camera in and this is a must see attraction. The building was started in 1963, the same year as the Bourguiba mosque. Heading out of the Tomb of Bourguiba, you are in the square which is dominated, as is the beach, by the star of the show Monastir’s Ribat which is both a movie star and icon of the town. In fact, it’s so famous I will add a page dedicated to it so forgive me if this part of the article is a little brief. The Ribat is a form or garrison for religious troops or perhaps warrior monks would be a better expression (Monastir ie the Monastry). This compound would be both a place of worship with madrassa and lovely mosque and the nearby medina would benefit from having a squad of faithful warriors there ready to defend it. Outside the Ribat is the lovely Great Mosque of Monastir which seems bizarre as it is a fraction of the size of the newer mosque. When you are ready, you enter the Ribat via the smaller entrance to the town side. Entrance costs 4 dinars with one dinar extra for the camera. Once inside, like a number of historic buildings in Tunisia, you start to see the little bits nicked from older buildings and, once you are passed the main entrance, the Ribat immediately impresses you. The maintenance over the years has left the building in very good condition and you can see why film makers come here when they need a Arab castle or a Jerusalem location as it literally looks like it could still be in use. The Ribat has been built up on over the years by each empire that has governed it and this means that there is literally no uniform design or layout within the place. This makes it just so fascinating and one would expect that kids would love this however it is not suitable for small kids as there are a number of places where under 10′s running about could fall down/over/into their doom. For those who wish the Ribat offers exceptional views of the beach and the town and, for the intrepid, a trip to the top is also recommended though not for the larger folks. In the centre of the complex there is a square which features a museum. Inside the museum you can see some items from the different periods of time. The Ribat certainly is one of the of the must see attractions if you are staying in the Sahel region of Tunisia, even on a cloudy day like the one when I visited. Monastir is a nice clean town and one that is safe and easy to navigate. 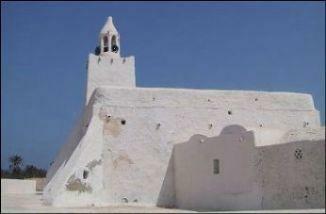 In Monastir you are also near to Sousse and Mahdia both also have a selection of attractions. If you wish to have some information included in this section please email [email protected]and we will try our best! Also you can leave comments and advice for others just login on the left and post away!